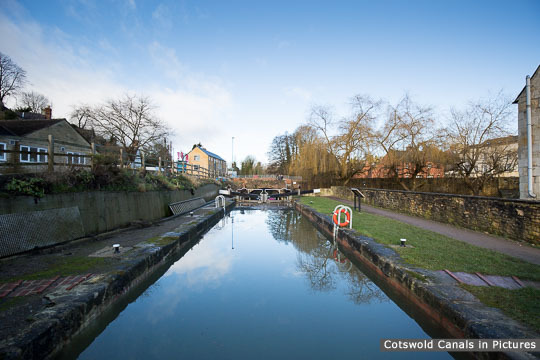 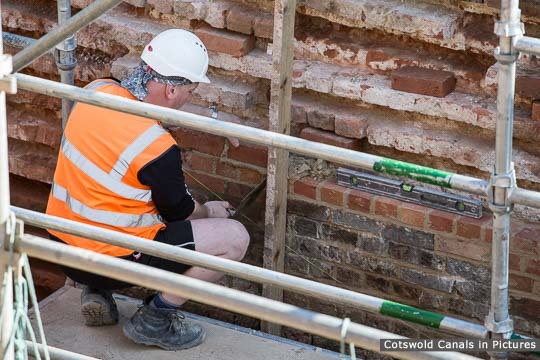 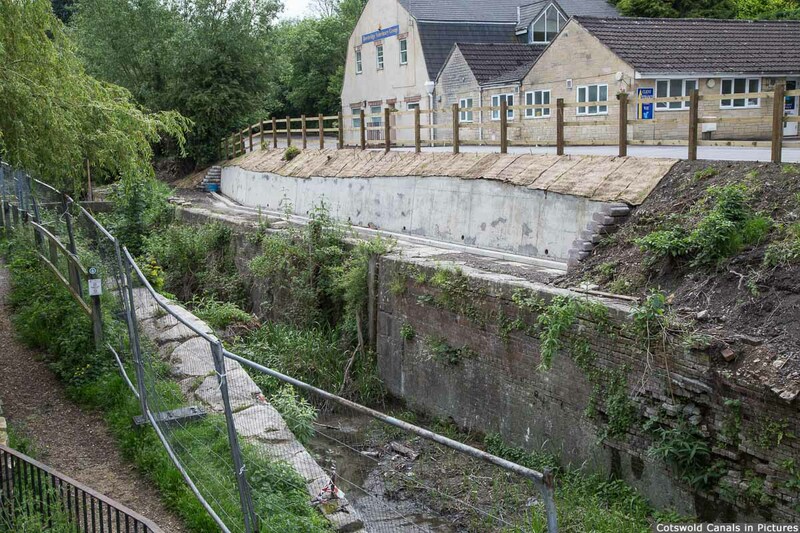 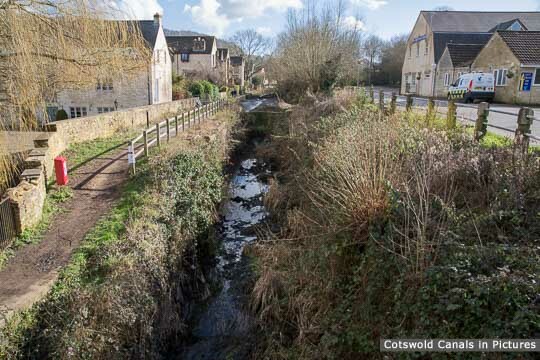 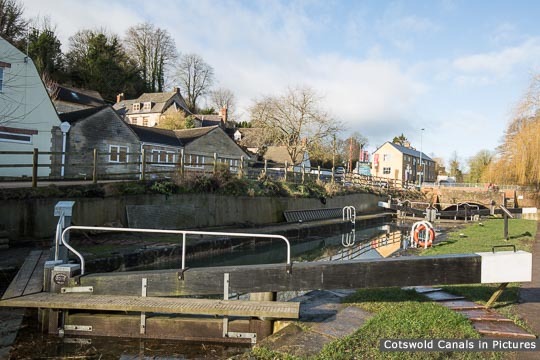 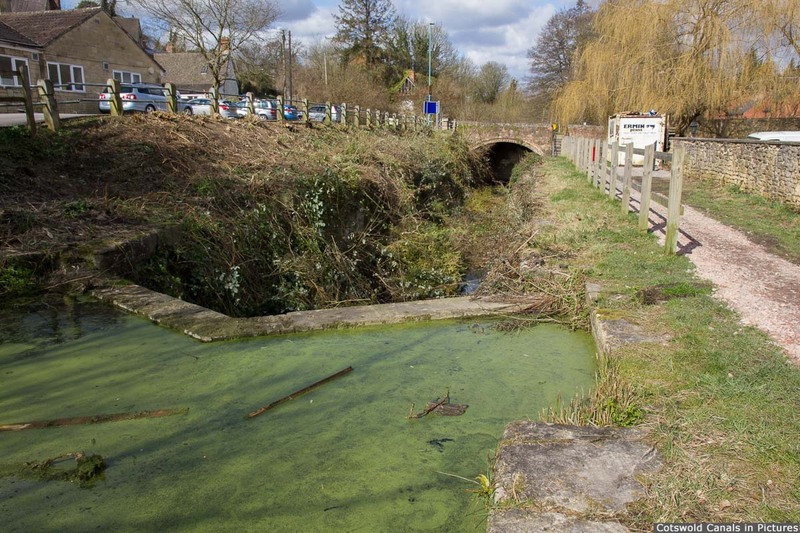 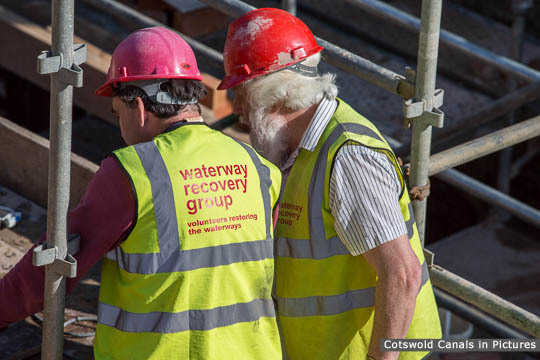 The restoration of Bowbridge Lock itself was completed in 2015 with some remaining work to the retaining walls between the tail of the lock and the adjacent Bowbridge Bridge completed in 2016. 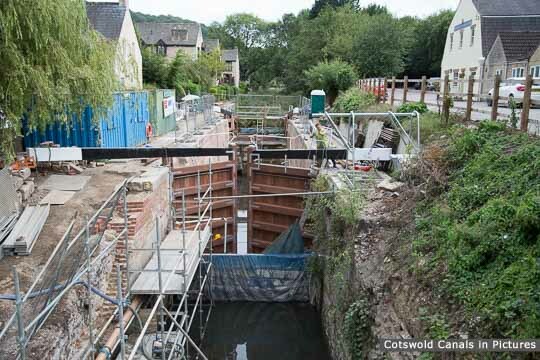 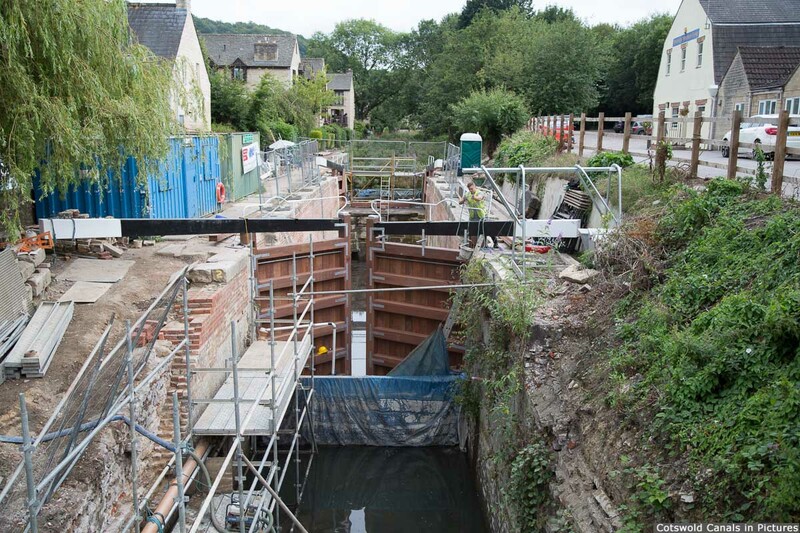 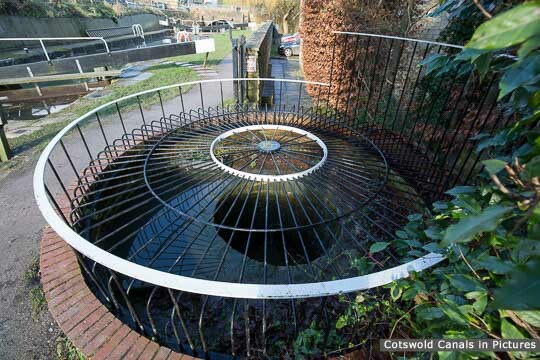 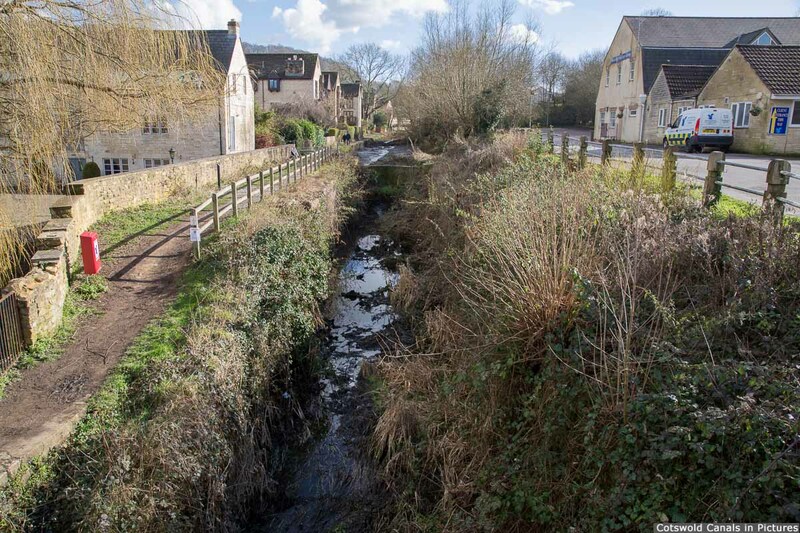 Construction: Bowbridge Lock is the third lock on the Thames & Severn Canal on the section of the canal between Wallbridge and the former interchange facilities at Brimscombe Port. 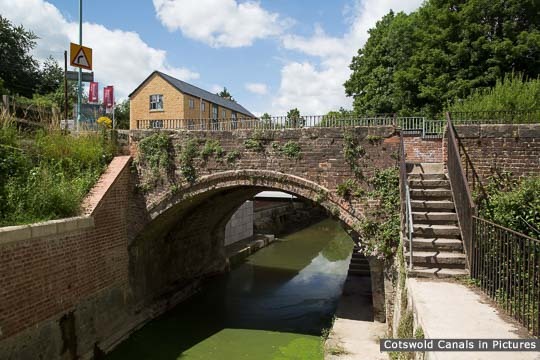 It was built to accommodate Severn trows rather than Thames barges, and is thus a little over 16 feet wide and 68 feet long, with a rise of 10 feet (3m). 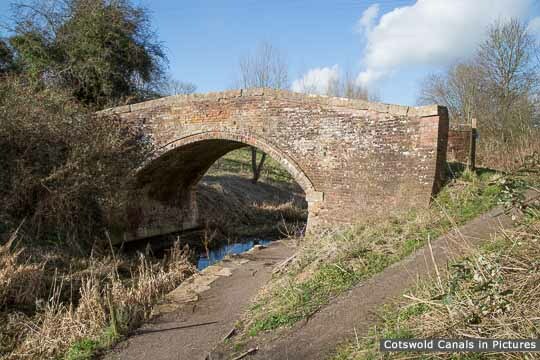 The chamber is brick lined with a substantial stone coping. The approach at the head of the lock is quite abrupt, the cut narrowing sharply; on both sides there are ground paddles set at right-angles to the canal, in the ends of the lock structure above the top gates. 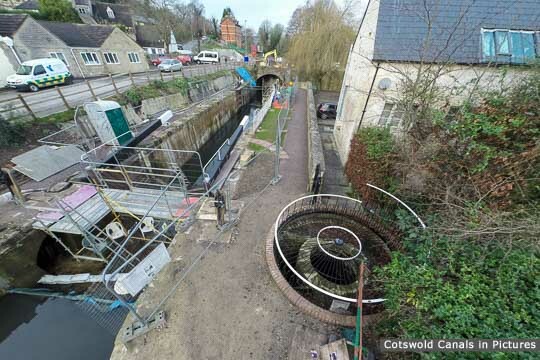 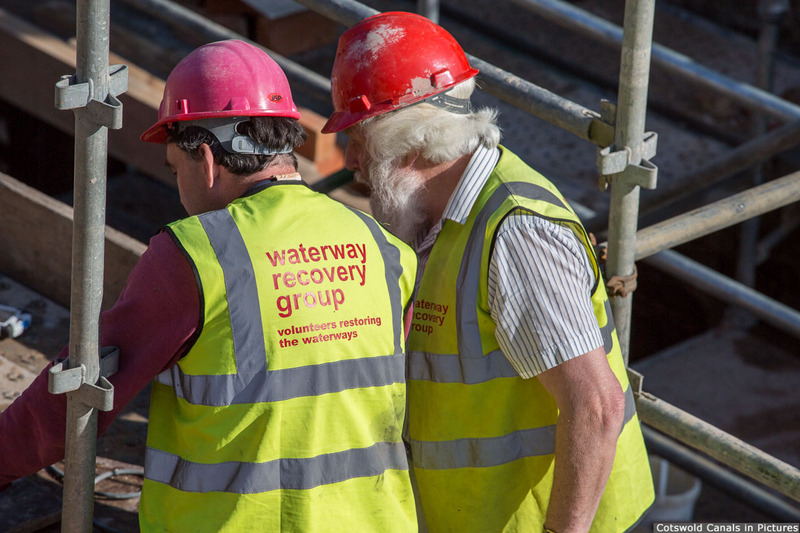 Work on restoring this lock started in March 2014, and is largely being undertaken by volunteers. A new concrete retaining wall was constructed on the off-side of the lock by contractors in April-May 2014 before volunteers took over.